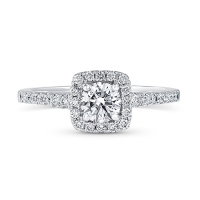 Few pieces of jewelry can match the incredible elegance and beauty of a minimalist engagement rings. 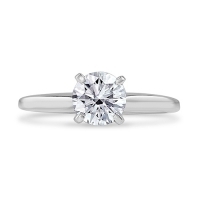 Whether it is a large, clear sparkler set with clawed prongs or a small, bright star set into a simple band, a minimalist engagement ring always looks chic and timeless, and pairs beautifully with any outfit or personal style. 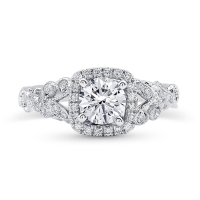 Many modern engagement rings, while stunning, feature so many stones that the individual beauty of each can get lost in the crowd. 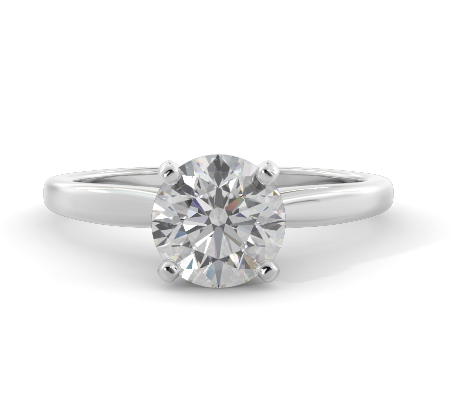 A minimalist engagement ring, however, lets one large stone speak for itself and capture the spotlight, refracting the light that hits it and making for a dazzling show. Some brides-to-be may want to fully embrace modern minimalism and choose a white gold band to provide a monochromatic, simple effect. 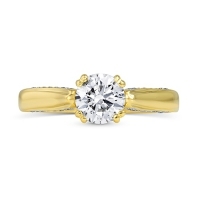 Others may prefer the beautiful, fashionable tone of rose gold for a pop of contrasting color, or classic gold to set off a warm skin tone or other gold accessories. With a simple stone, the band is also given a chance to truly shine. In the era of Marie Kondo, a minimalist ring is sure to spark joy with its clean lines, utter lack of clutter, and emphasis on simplicity and tidiness. In addition to the minimalism of design, one also has to consider how to create a minimal amount of harm in obtaining an engagement ring. Traditional diamonds are still mined out of the earth, often by underpaid and underage laborers. The diamond trade usually contains gems, known as blood or conflict diamonds that are illegally mined in African nations by sects looking to fund civil wars through their sale. The mining industry also remains a heavily polluting industry, with mines in less regulated countries consistently dumping toxic slurries of mining chemicals into lakes and rivers. Heavy metals and acidic compounds often find their way into waterways from mining runoff or dumping. Many modern brides are turning to synthetic diamonds for a far more cruelty-free and environmentally friendly option. 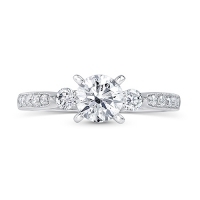 Many simulated diamonds are made of substances, like moissanite, that is very similar to diamonds. However, companies like New Dawn Diamonds, are creating true diamonds that are simply lab-grown. Lab-grown diamonds are diamonds, just without the mining process that tends to harm both the environment and mining workers themselves. Lab-grown diamonds are also actually purer than mined diamonds since they can be created in environments free of dust and other impurities that give natural diamonds their imperfections. 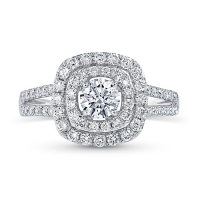 Not only does large portion of lab-grown diamonds receive higher purity ratings than their natural counterparts, but they are also often graded brighter and whiter than natural diamonds. 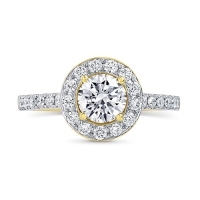 Other colors of diamonds, such as yellow, are also available in lab-grown diamonds and at much lower prices than the very rare naturally occurring colored diamonds. Just imagine being able to purchase an ethically sourced, beautifully colored diamond for a fraction of the cost of a questionably sourced natural stone. 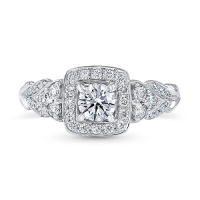 For the vegan bride, rest assured that New Dawn’s lab-grown diamonds are completely cruelty-free and vegan. Not only are human workers not harmed, but no animal products are used in the creation and growth of their stones. If you are a bride or the fiancé of a discerning bride, rest easy in the knowledge that there are now cruelty-free, environmentally diamonds that are not “similar to” diamonds but authentic, pure, and beautiful diamonds that are ethically created and still cost slightly less than naturally mined diamonds. © 2019 New Dawn Diamonds. All Rights Reserved.